Great for Tandem or large riders too! 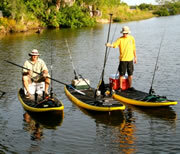 The Hooked SUP is 11’8″ x 36″ x 5″ at 33 lbs. , There is no tax. 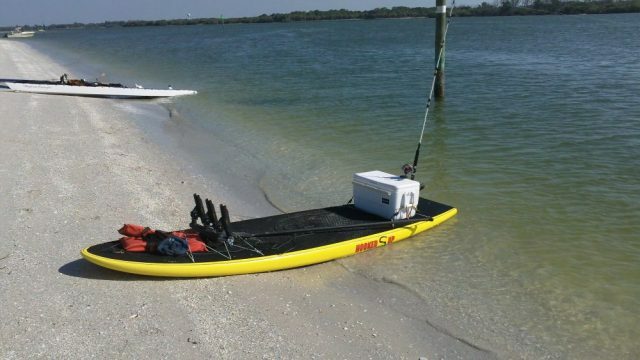 $2300 if picked up at the Clearwater Florida warehouse, please email me at alex@alexaguera.com for picking up at warehouse and the reduced price! looking finish which looks like white with streaks of black. 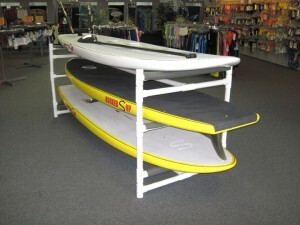 All boards have a gray full length deckpad ( no Black this year) , mast box, 6 tiedown plugs and 2 rod holder inserts areas. 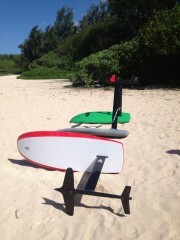 Boards are built of foam sandwich/composite/fiberglass/EPS construction. These are top of the line quality built. Please provide a Business shipping address and a telephone number with your choice of Color!